The Toronto artist has a new video for the title track of his Grammy-nominated album. 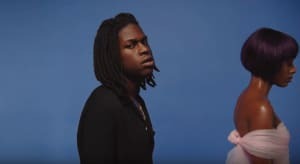 Daniel Caesar has revealed a new visual for his "Freudian" single. The video, which you can peep above, catches Daniel drilling a group of runners as they make their way through a scenic forest pathway. There are no marriage proposals, sadly, but you can't have everything. Toronto's golden child is celebrating the news that his album, also titled Freudian, is nominated for two Grammys. He picked up nods for Best R&B Album and Best R&B Performance" during Tuesday's big announcement.